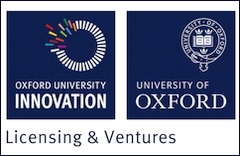 Licensing enables Oxford University Innovation to maintain ownership, and therefore control, of its IP whilst at the same time generating royalty income from the use of its IP by industry. A licence is an agreement involving the transfer of rights from one party (‘the licensor’) to the other (‘the licensee’). These rights commonly control the use (for copying, manufacture, sale etc.) of an IPR (a patent, copyright material, confidential know-how etc.). A licence deal may include a lump sum payment for the right to exploit the invention (either exclusively or non-exclusively), usually in a particular market or for a particular purpose (referred to as the ‘field’), plus a royalty on the licensee’s sales. The deal may also include a research contract with the University, plus a consultancy arrangement under which the inventor gives the company technical advice or assistance in setting up work in its own laboratories. Research Services manages research contracts for the University. Oxford University Consulting has been established to assist in the management of consultancy and service provision activities. There are certain terms of a licence which affect you, the Oxford researcher, directly. These are confidentiality, improvements, and publication. The terms of the licence agreement (and occasionally its existence) and information about the licensee‘s development and commercial plans and activities are confidential to protect the University’s and the company’s interests. Licensees expect access to improvements in the technology so that they can sell more or better products, and to protect against your future ideas going to a competitor. The risk is the creation of a ‘pipeline’ through which your future ideas are pre-sold to a single company, who may in future become an unsuitable commercial partner. To balance this, Oxford University Innovation limits the definition of ‘improvements’ to ideas by named individuals, within two years, within the scope of the licensed technology. Companies sometimes insist on the right to review papers before they are submitted for publication – we limit any delay to up to 3 months. You can discuss these issues with your technology transfer manager. Oxford University Innovation has a strong portfolio of software technologies which are licensed to commercial organisations on an exclusive or non-exclusive basis. Find information about software copyright.